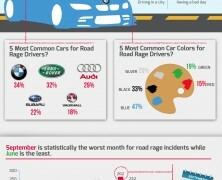 This infographic profiles the angry drivers cohort, that is usually more aggressive and intolerant against traffic offences perpetrated by their peers and tend to be a bit more expressive of their anger. 80% of the USA population tailgates – that is over 240 million people! 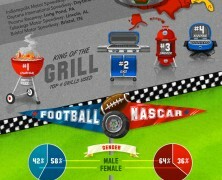 This infographic is an in-depth look of tailgating at Football stadiums and NASCAR (National Association for Stock Car Auto Racing) .